There have been a whole lot of swirling rumours suggesting that a whole host of major economic players — including the London Metals Exchange, J.P. Morgan, Bear Stearns and HSBC — are engaging in a conspiracy to suppress the price of precious metals. A whole host of antitrust lawsuits fired off in recent months, based on these theories. Some of these theories have come from the Chinese establishment. Some have come from seasoned metals traders. Some supposedly come from inside the financial system itself. Silver, like gold, has retained and strengthened significantly against fiat currencies in recent years, all while central banks have engaged in competitive printing. All of these factors make me significantly bullish on silver in the long term. If the rumours are true, and J.P. Morgan’s commodities desk, alongside other players, is taking measures to artificially depress the price of silver — and make such a hot commodity available to investors at a discount when we know fair-value is much higher — then I think we should be thankful to them. This entry was posted in What is Money? 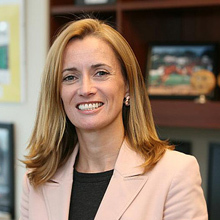 and tagged blythe masters, Department of Justice, eric king, J.P. Morgan, silver price, zero hedge. Bookmark the permalink. yer reckon? when fair and honest players in the futures market have suffered devastating losses due to illegal price manipulation while playing in what they thought was a free and honest market based upon fundamental supply demand? Thats just cool then is it? cos some players who came late to the party or who wern’t playing at the time have now a cheaper price to take advantage of and have made a few dollars. Lets give em full reign shall we and then the silver you bought last week at $40 can be devalued to $10 permanently by the manipulators. Lets see how you thank them then. I’d love to see silver at $10 next week — I’d buy a swimming pool of silver eagles. Because the fundamentals are that it’s worth more like $300+ — maybe $2,000+. I haven’t been buying at $40 — I bought most of mine under $20. But buying at $40, or $10, or whatever paper price the silver manipulators push it to does nothing to the fundamentals except give you a better price. They can paper-short all they want, the price is going to $300+ in the medium to long term. The only people who stand to lose from Blythe’s game and the margin hikes are paper/electronic/ETF speculators. I am not one of those. I guess I see their game as kind of pathetic — if they are manipulating downward, then they aren’t doing a very good job with the price up 800% in the last 10 years, are they? Your commentary is excellent. Keep up the good work. Great blog, John. Regarding silver manipulation, I have to say that as much as I *want* to believe that silver’s being manipulated, and as much as the circumstantial evidence is there, the fact that no investigative journalist has found a smoking gun (beyond Adrian Maguire) or otherwise blown the doors of the case could quite possibly mean the only manipulation going on is in our heads (I’ve been long silver since $19, btw).